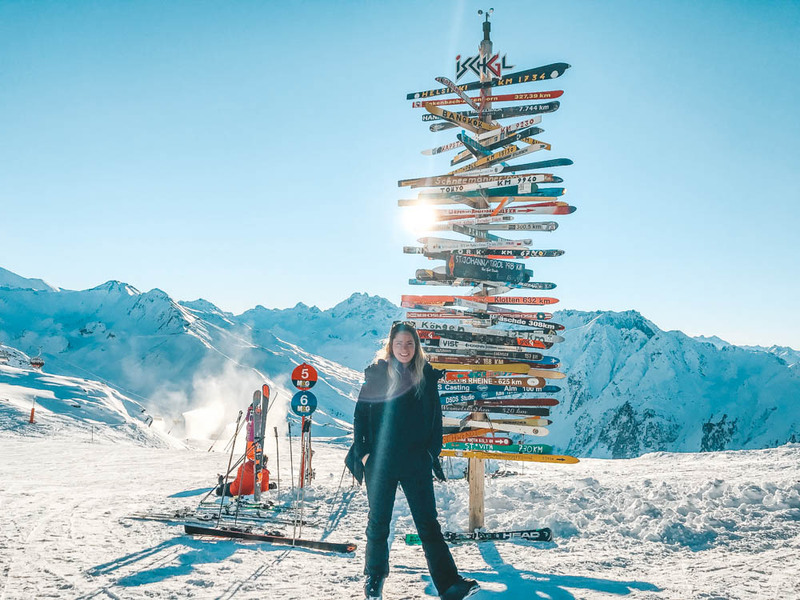 Ischgl, as I said, is an exclusive and luxurious ski resort in Austria and it is especially noticeable at the shops and the clientele of the people here. 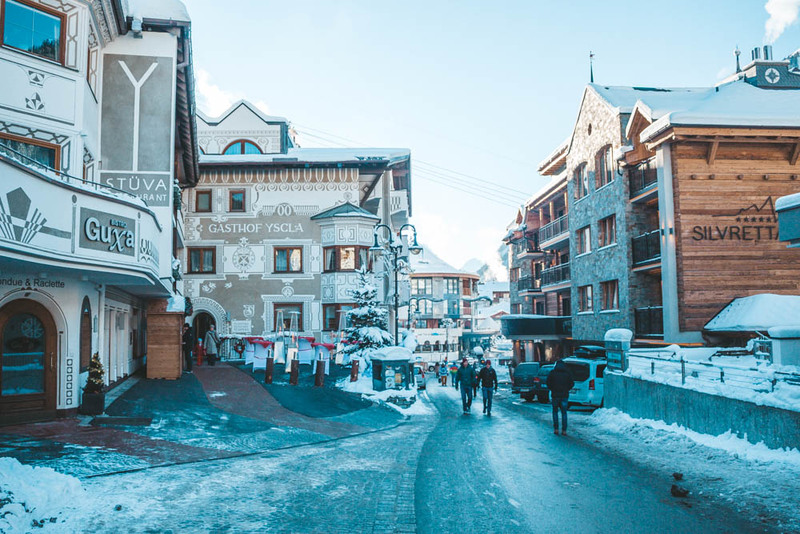 This is a ski resort that I like very much and which suits me well in the taste of the range of ski slopes, restaurants, shops and experiences. 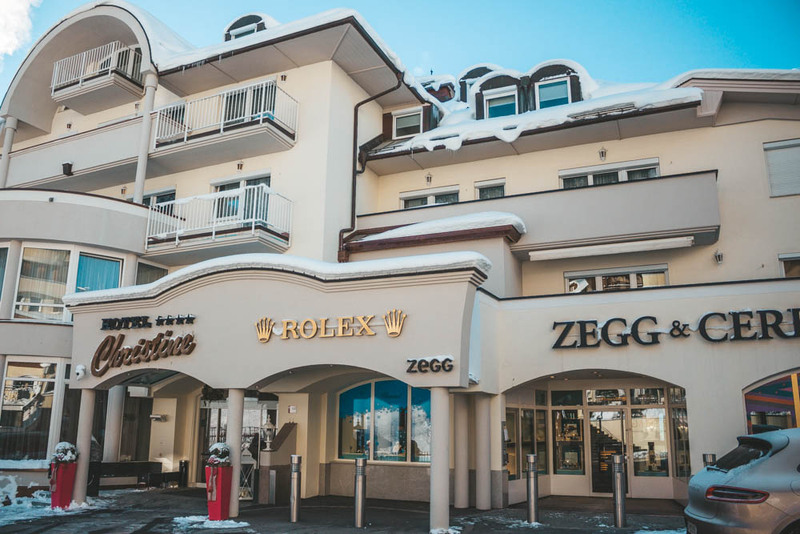 The first thing I saw on the street opposite my hotel is the Rolex watch shop. 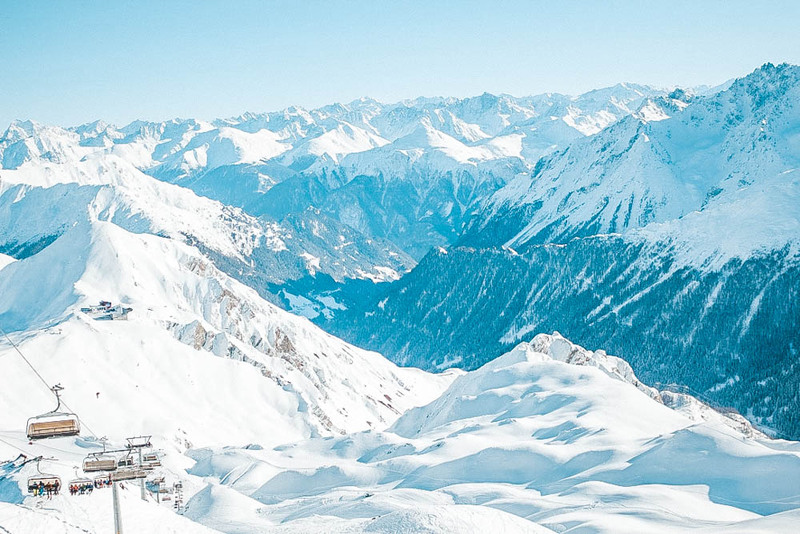 Here, almost only German is spoken everywhere. 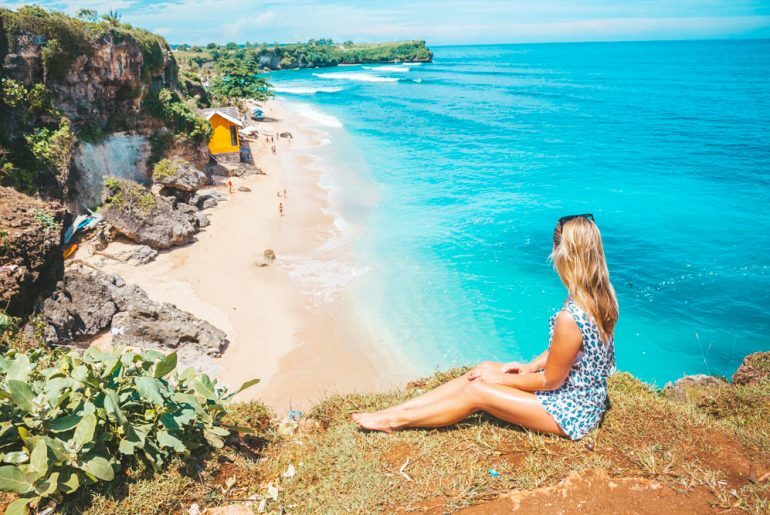 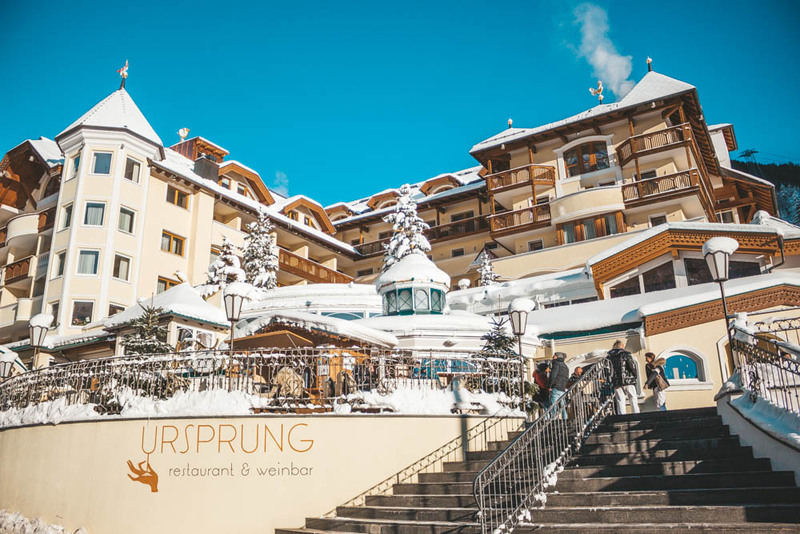 There are not many locals who speak English here, so if you can speak German you have an advantage! 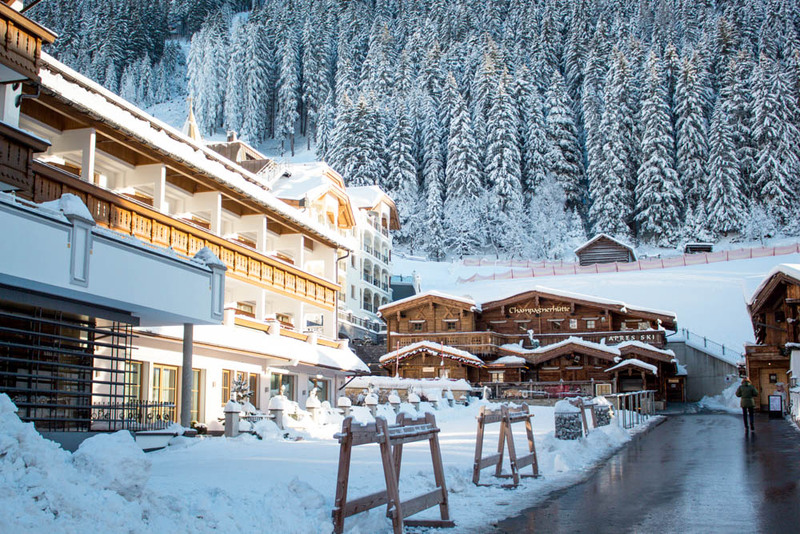 More “mature” ski resort than St Anton. 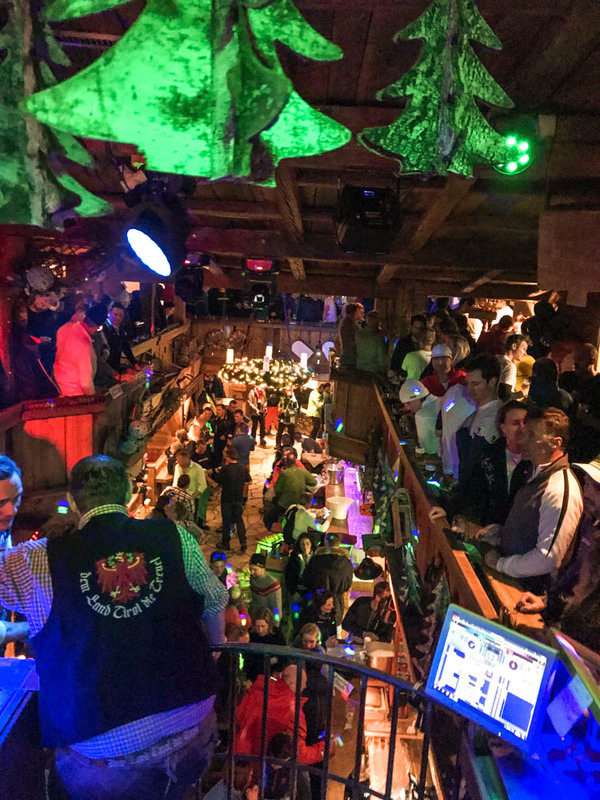 With that said I mean the people are older here than in St Anton. 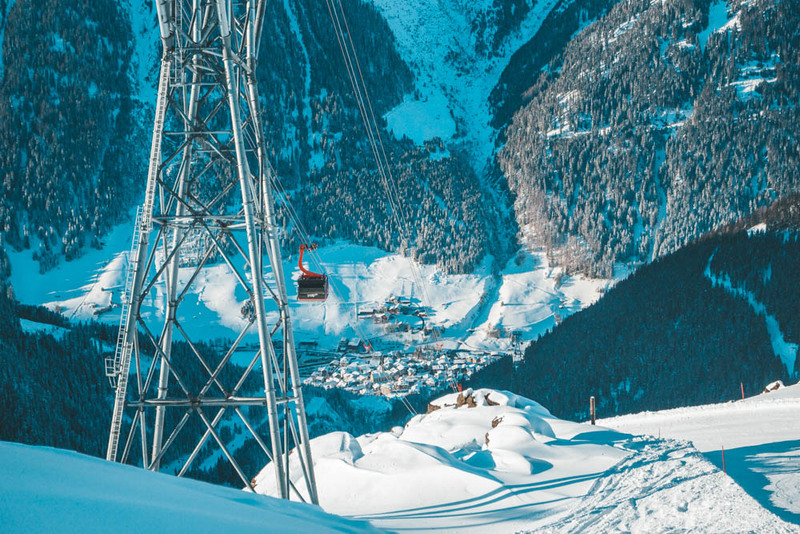 Ischgl has modern and fast lift systems. 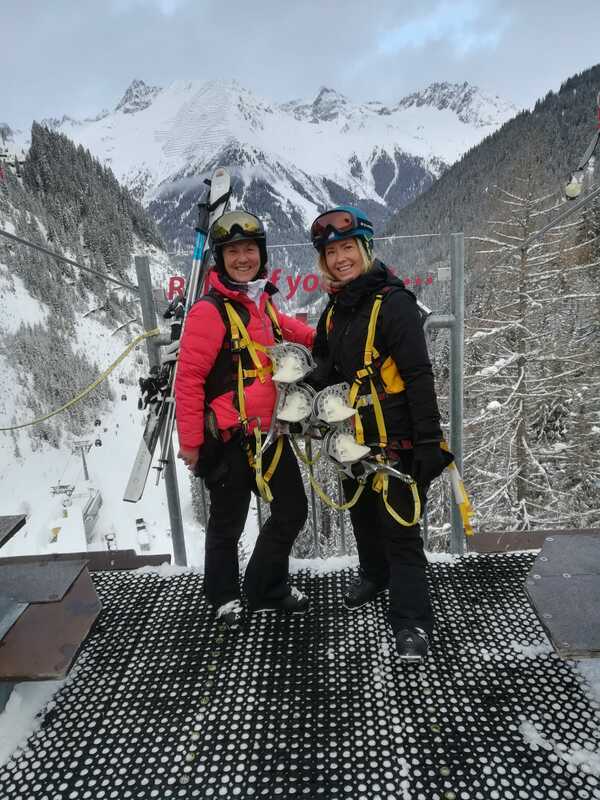 There are hardly no lift queues at all. 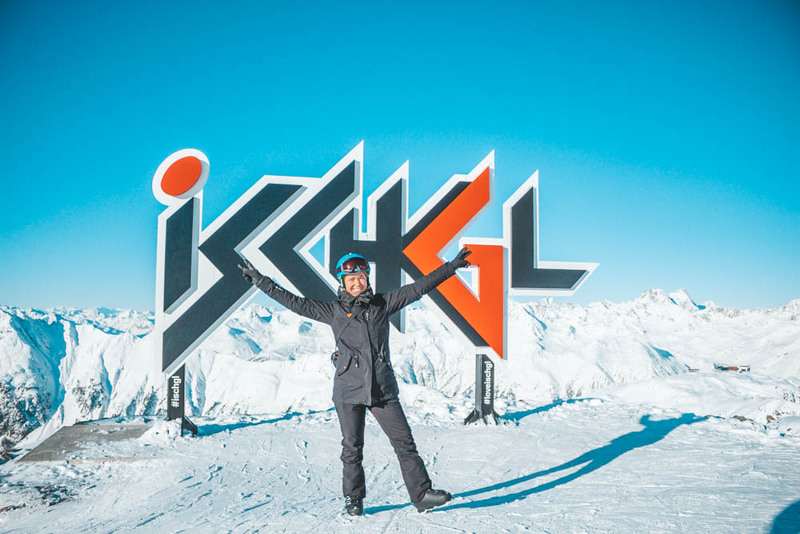 Ischgl has an easily accessible off- piste, so that even I dared to go off-piste, which was really fun! 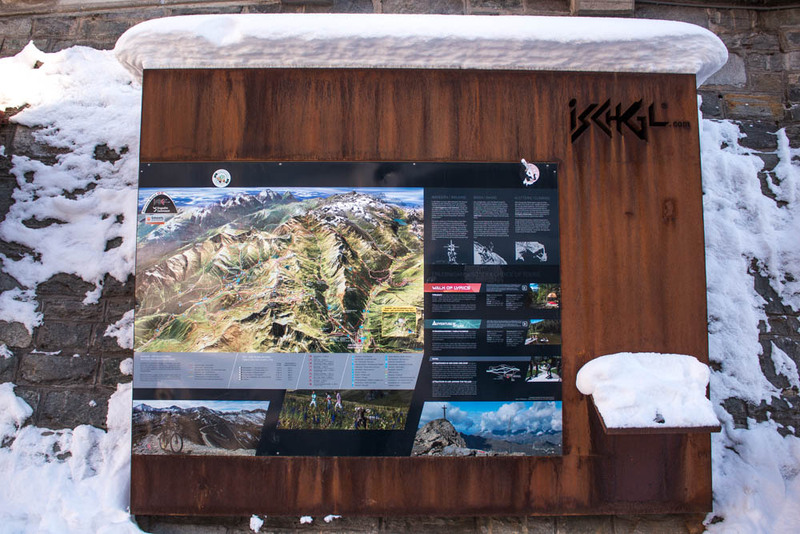 The entire ski system sits together in a good and simple way to be able to get to different places. 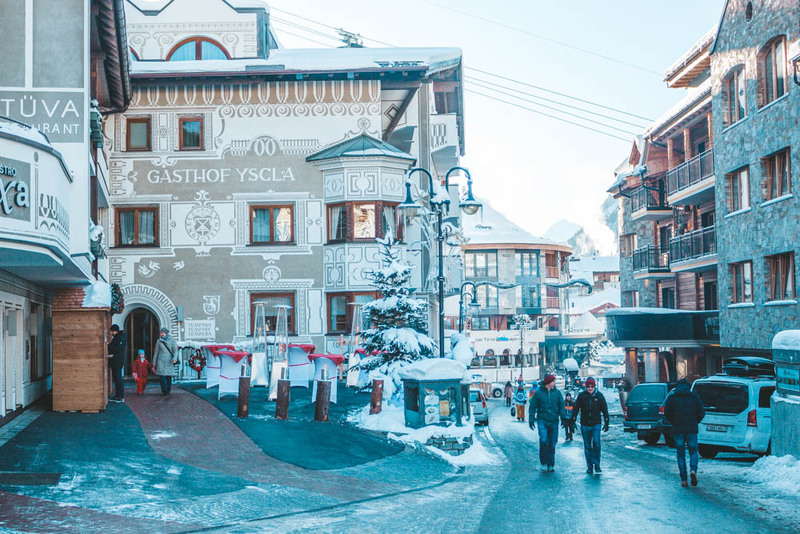 It doesn’t matter where in the village of Ischgl you live, it is always close to the village’s ski tunnels with the treadmills that take you directly to the lift. 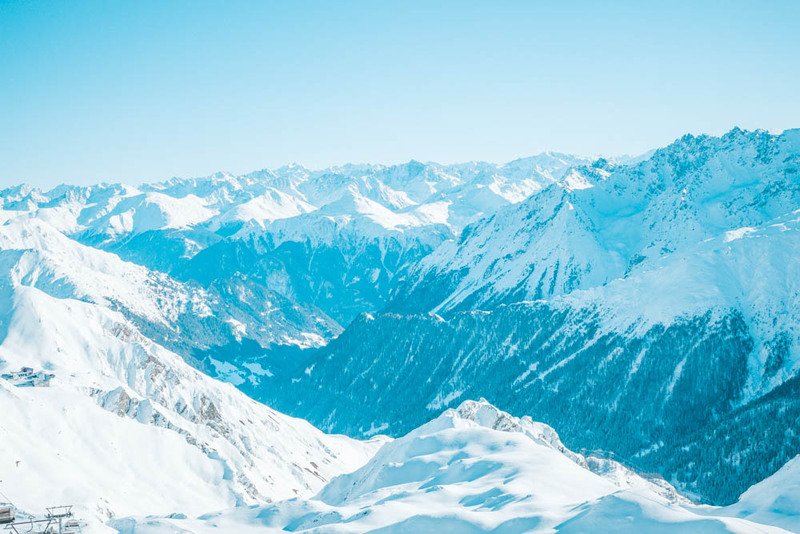 There is something called the “smuggler route” that goes to Switzerland and that in the past used to smuggle alcohol, tobacco, etc. 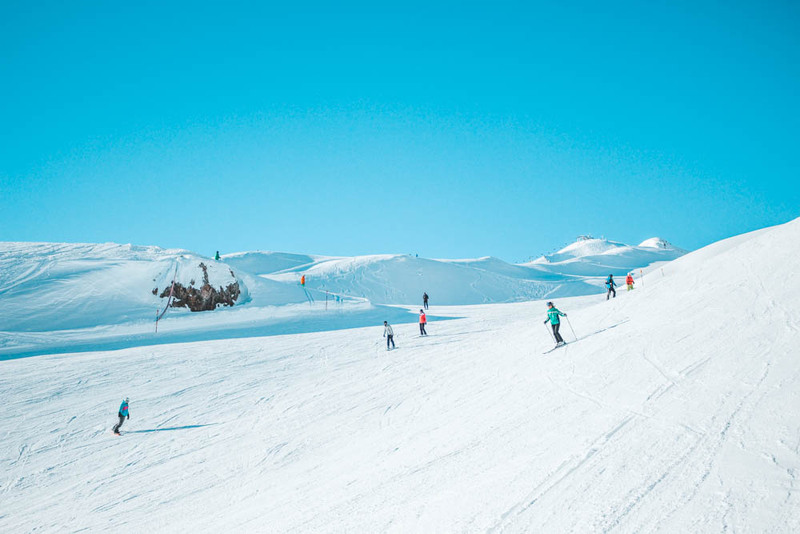 but which are now mostly used for skiing. 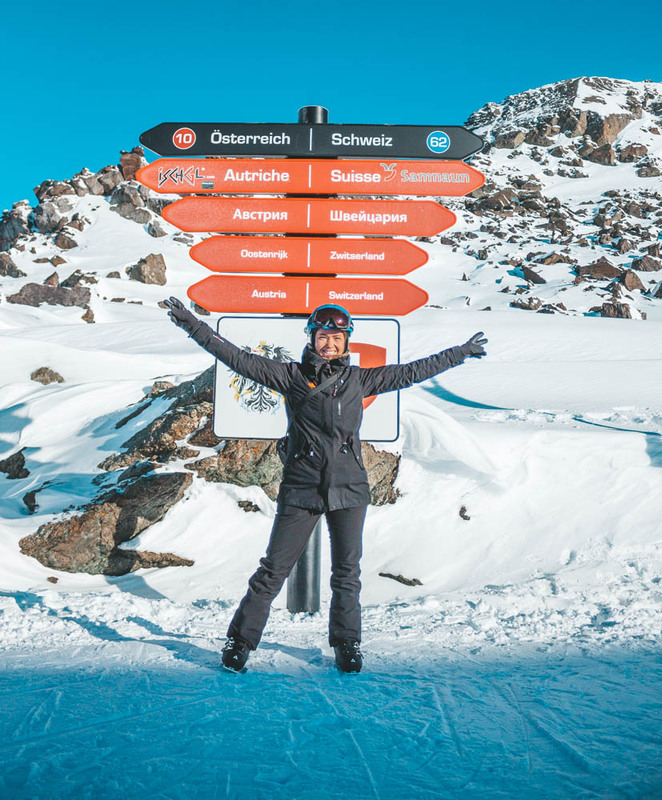 There are three different routes – Gold, Silver and Bronze and these routes have become really popular in Ischgl. 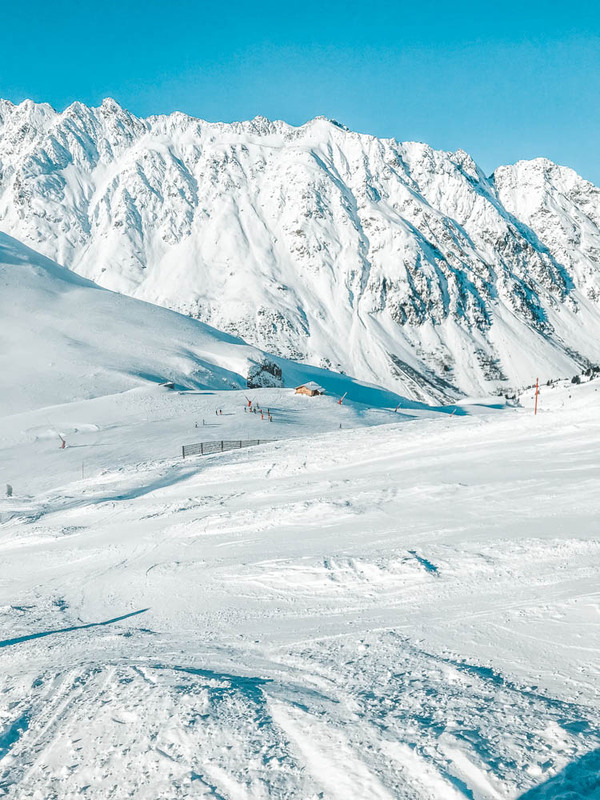 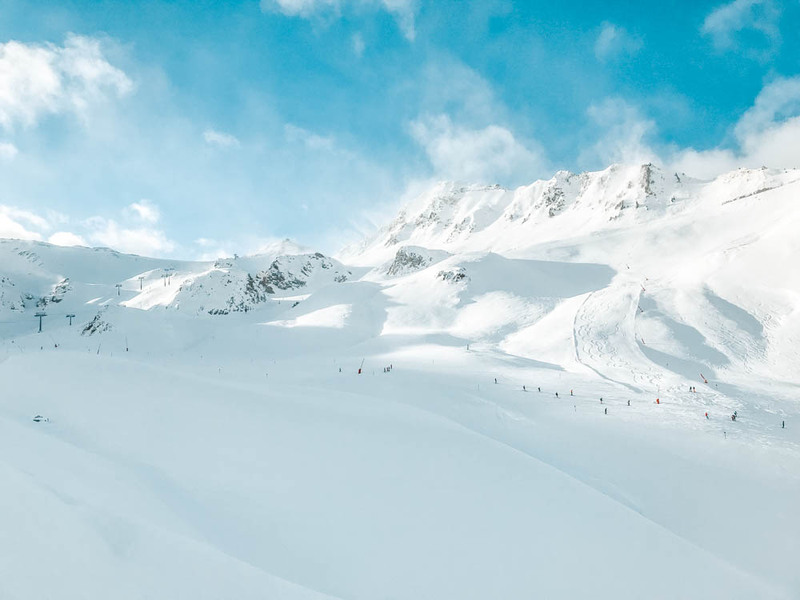 Ischgl has a long ski season due to they have a lot of snow from November to May thanks to the large system Silvretta Arena, which have an high altitude of 2800 meters above sea level. 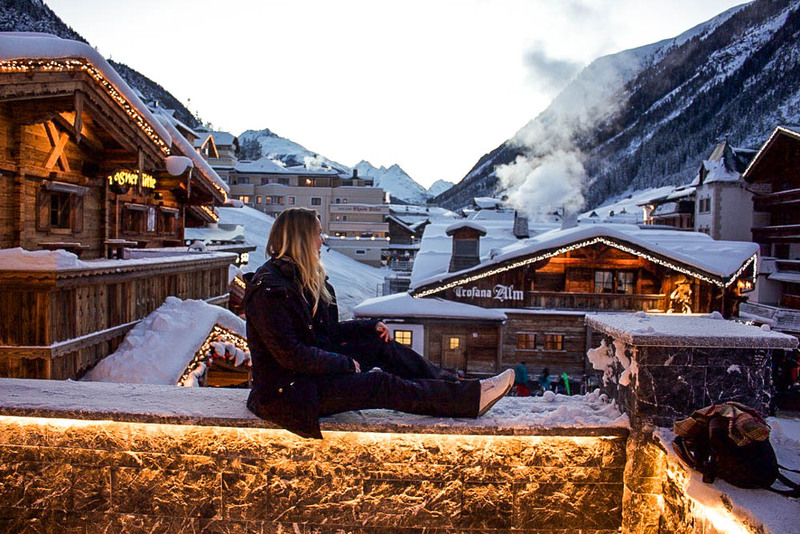 Most people who live and work in Ischgl are locals, hence the village doesn’t attract as many skibums as St Anton does. 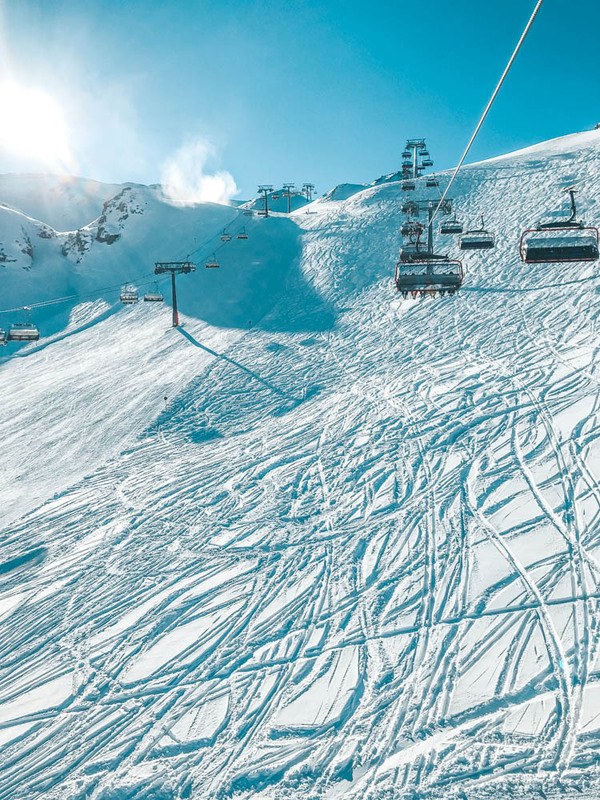 Ischgl offers fantastic skiing with a full 330 kilometers of slopes and with over 50 lifts. 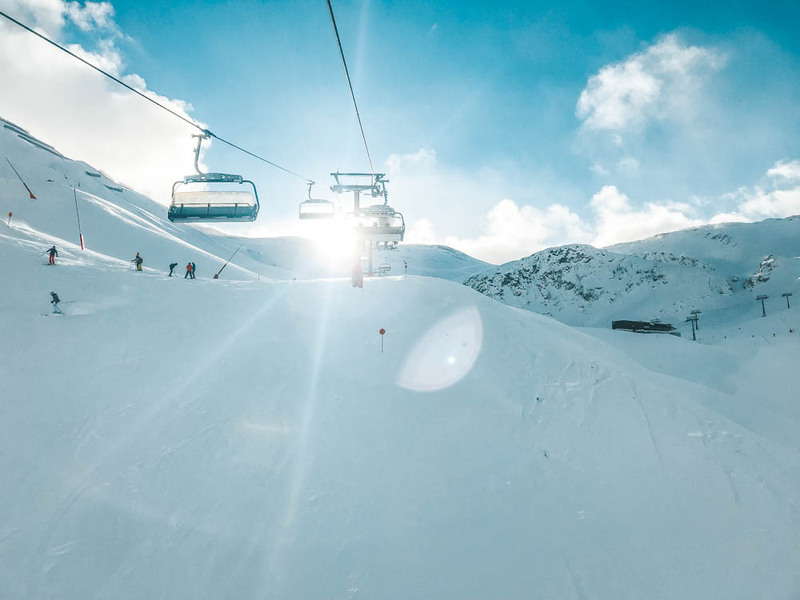 The lift systems are very modern and in many places new lifts have been installed, which means that long queues are not formed at the lift systems, something that I think is really good! 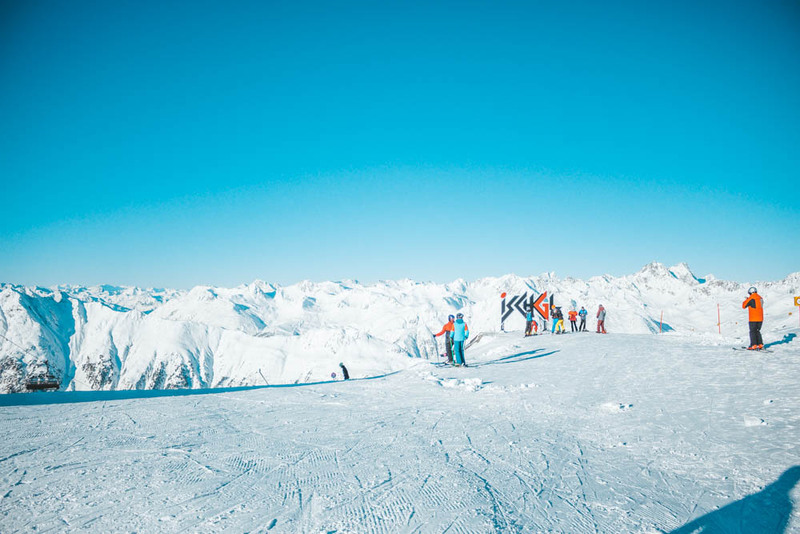 The ski area in Ischgl is connected to the duty-free village of Sammaun in Switzerland. 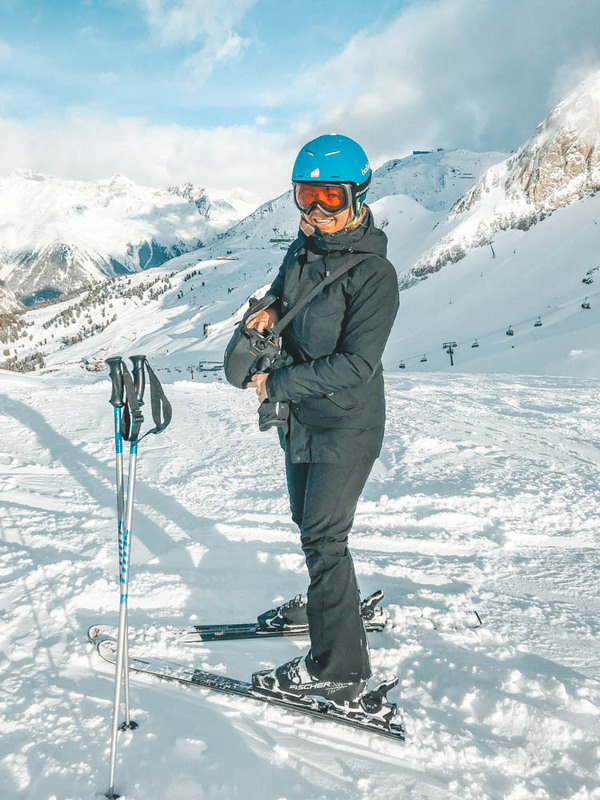 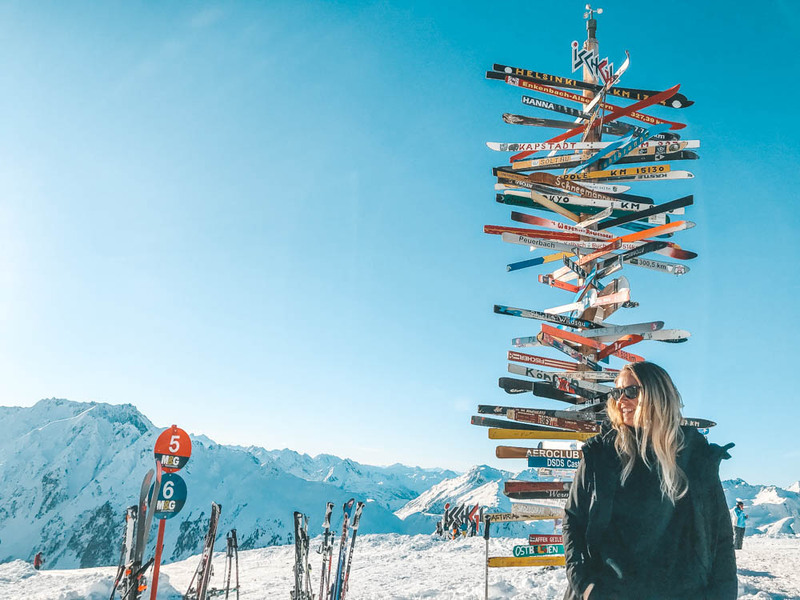 So you can ski all the way from Ischgl in Austria to the village in Switzerland to buy duty-free goods such as alcohol, perfume, tobacco, ski equipment or watches and then return home again. 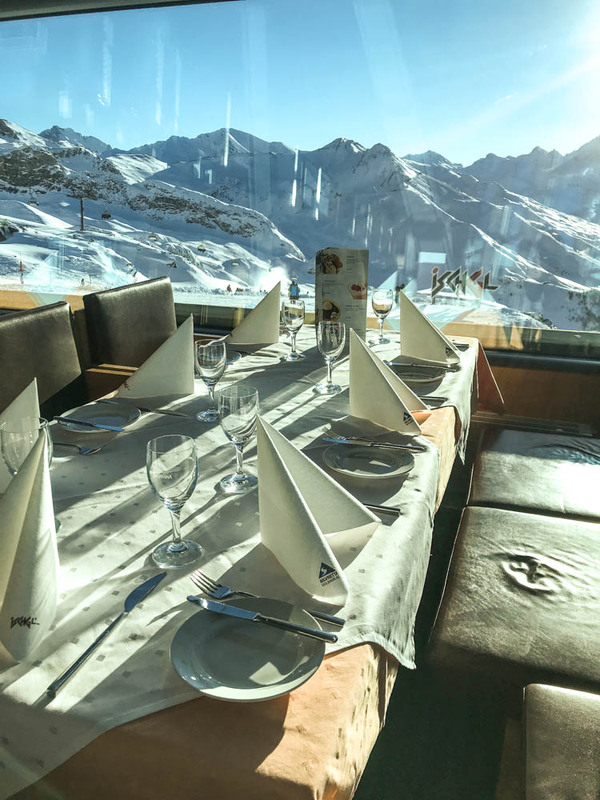 If nothing else, you can go down the slopes to Switzerland, have lunch at one of the restaurants there, which is adjacent to the lifts and then return home to Ischgl again 🙂 Or why not try the different “smuggler routes” gold, silver or bronze which is popular to do here! 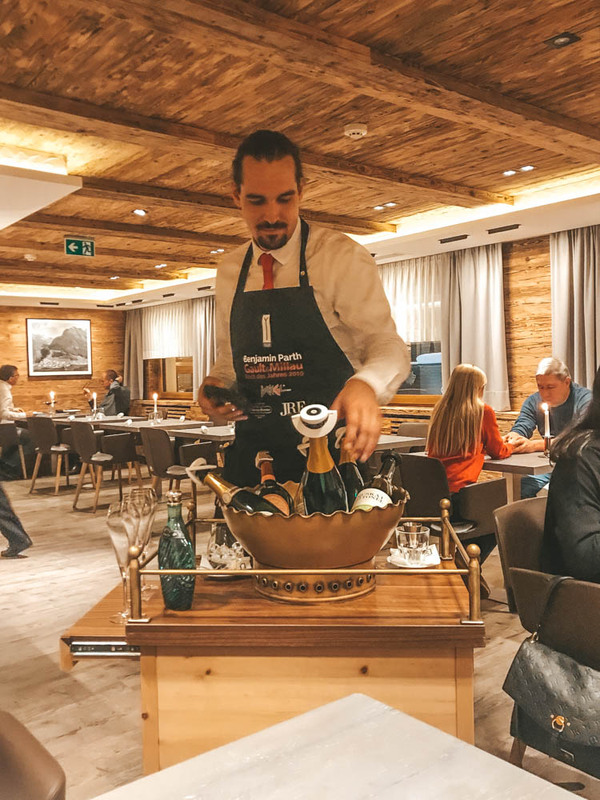 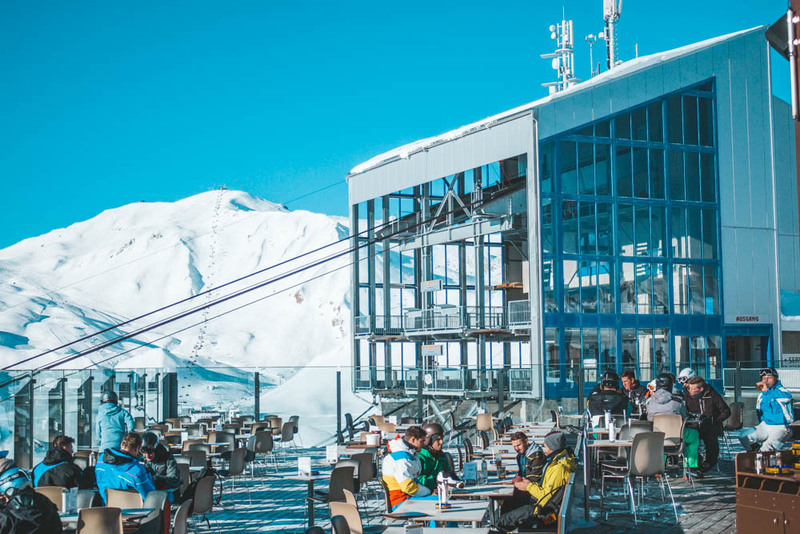 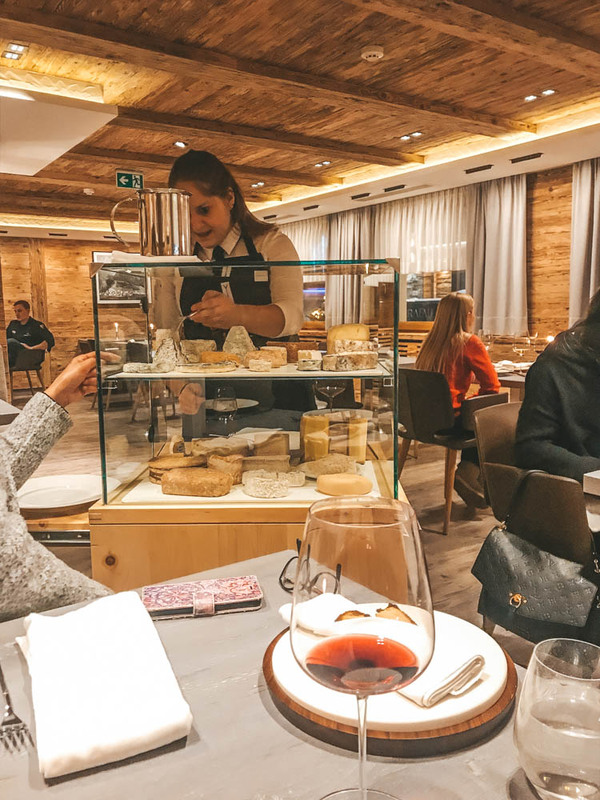 In addition to some heating cabins here and there, there is also a large selection of restaurants right in the ski slope of Ischgl for all tastes and price ranges, some with better views than others. 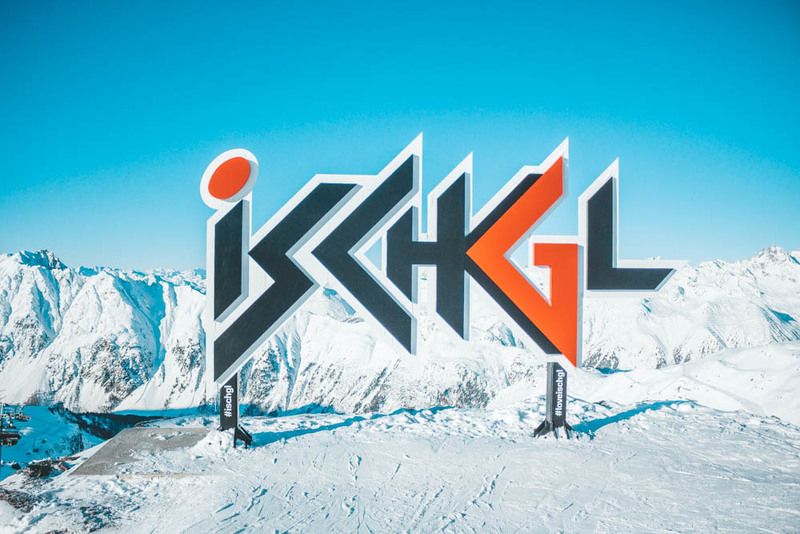 Something else that Ischgl is also known for is their regular live concerts with world artists singing at their annual seasonal opening and season closing concerts. 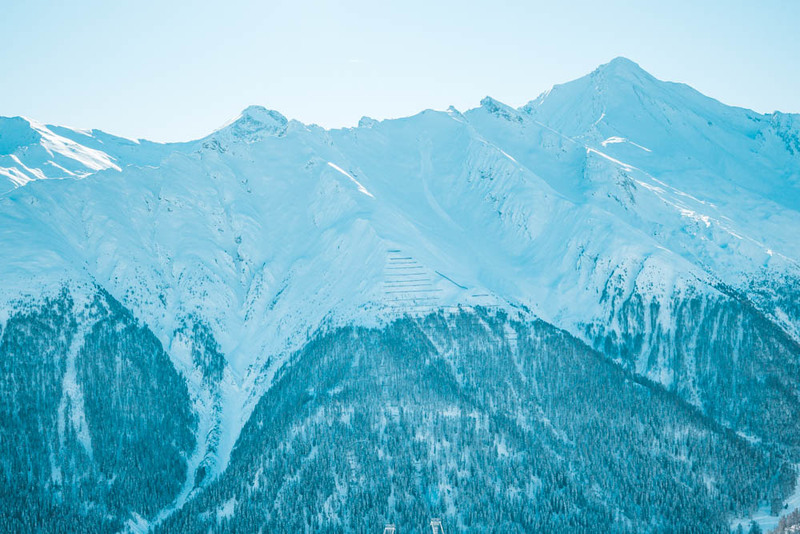 The concert itself is called “Top of the mountain” and Elton John was the first to perform here in 1995. 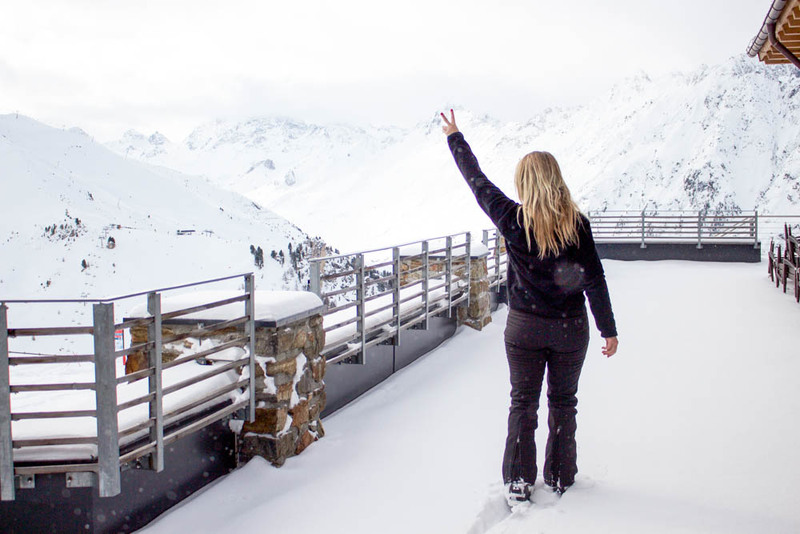 If you choose to ride the treadmills sometime that goes to the lifts you will see all the world artists who have been in Ischgl for a live concert. 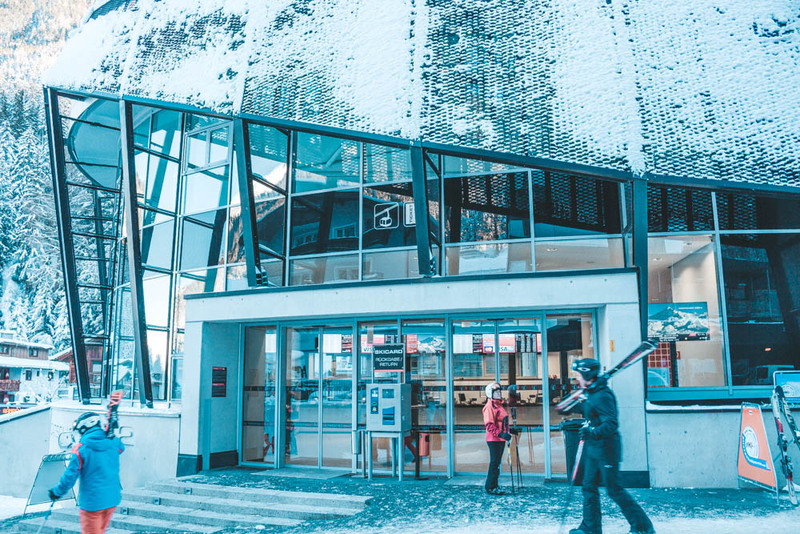 Some of the world artists who has been here are for example Tina Turner, Anastasia and U2. 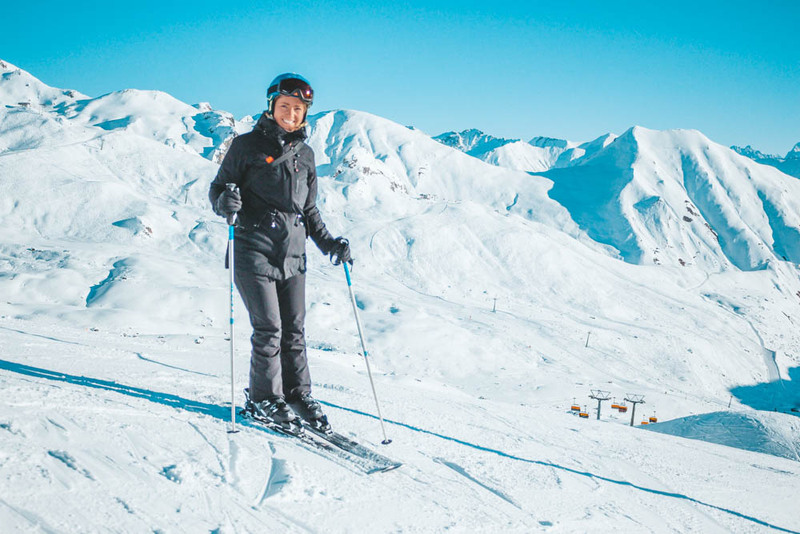 Remember, however, that you should definitely not wear any ski boots after 20:00 in the evening, it is forbidden and if you do, you must pay 200 Euro (if I remember correctly). 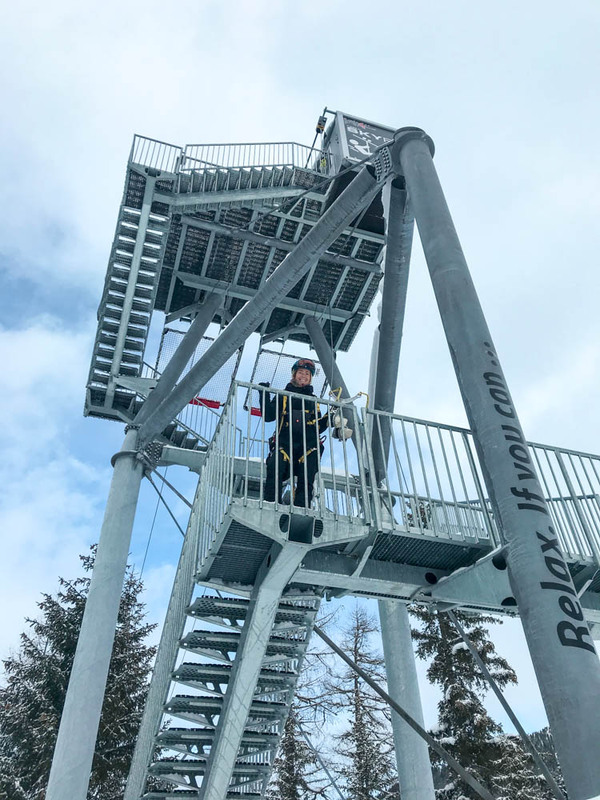 There are “police officers” walking around in the village during evening time from eight o’clock and checks this in the village. 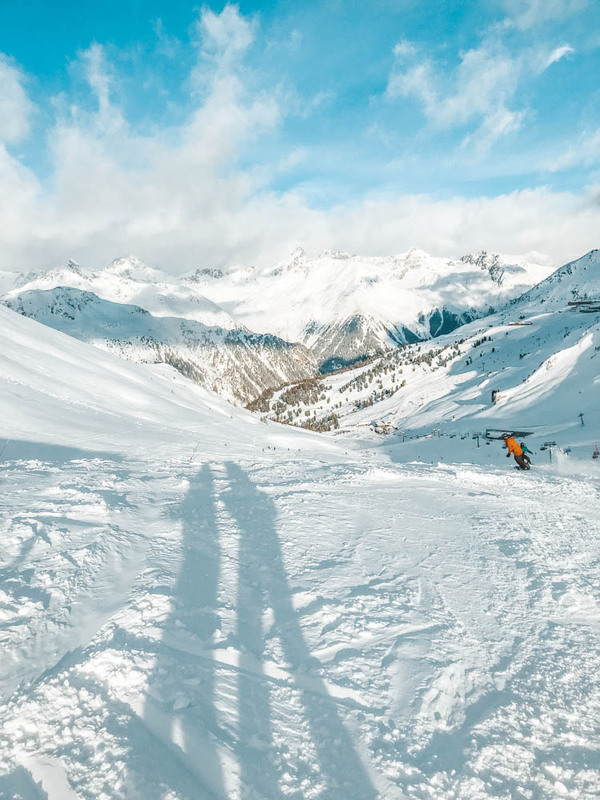 It is really strictly prohibited so if you want to party for a long time after the after ski, I would recommend going home and change to shoes before your after ski. 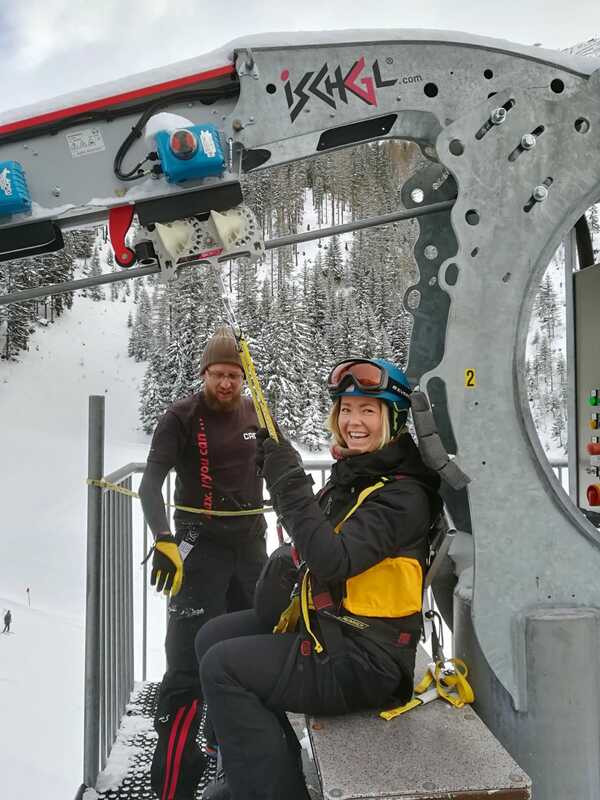 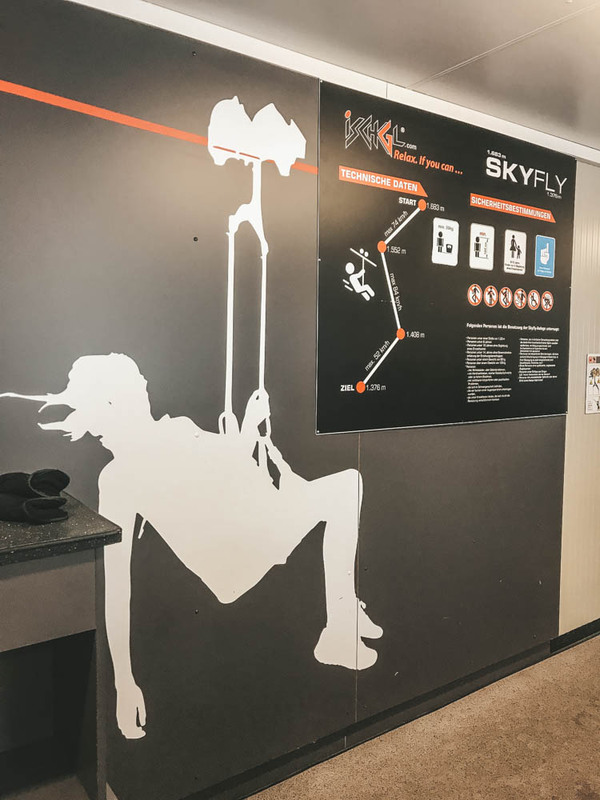 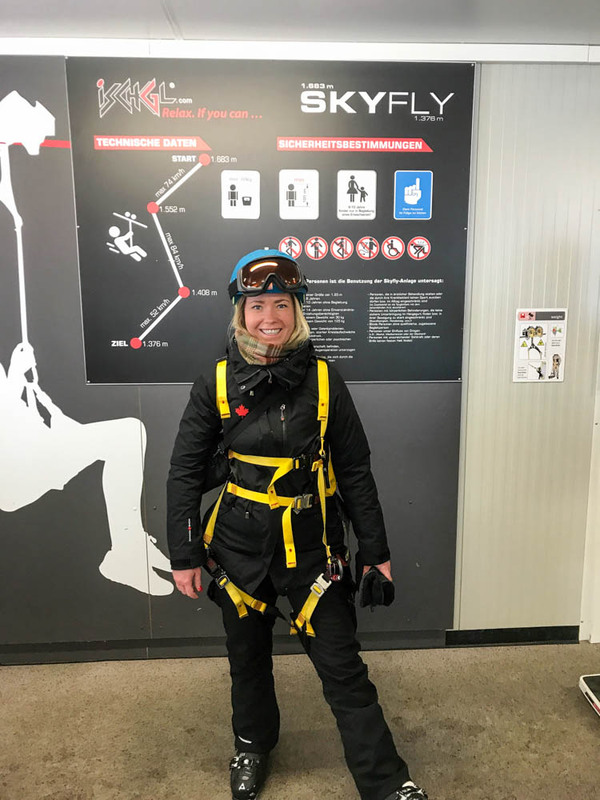 If you want to do something different while you are in Ischgl, I can highly recommend Ischgl skyfly, an activity that is at least as fun for children as adults! 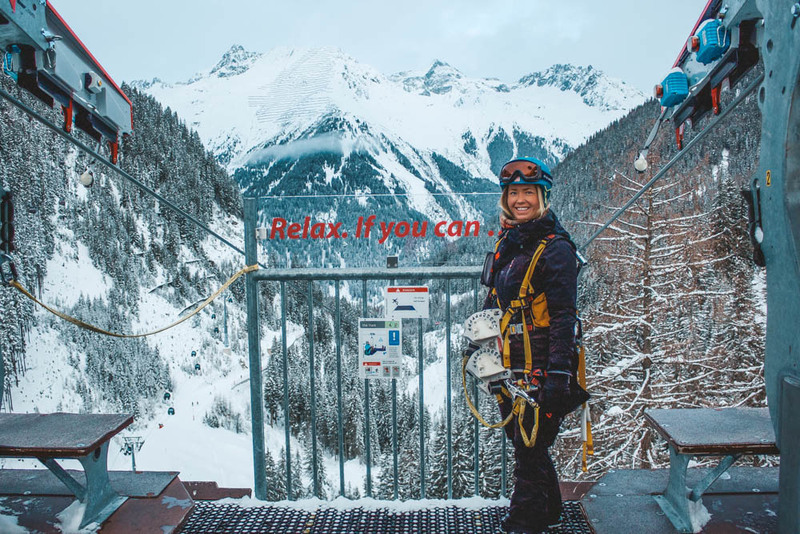 🙂 With its two kilometer long trail and 50 meter high cable car, you take a total of three runs with a harness and skis on your back while you flying high above the trees, a really amazing feeling! 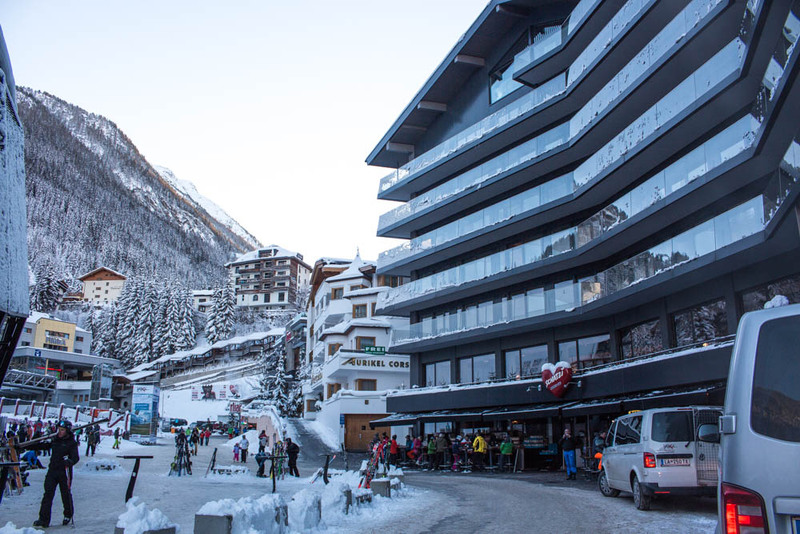 I stayed at Hotel Post which is located in the middle of the pedestrian street in Ischgl. 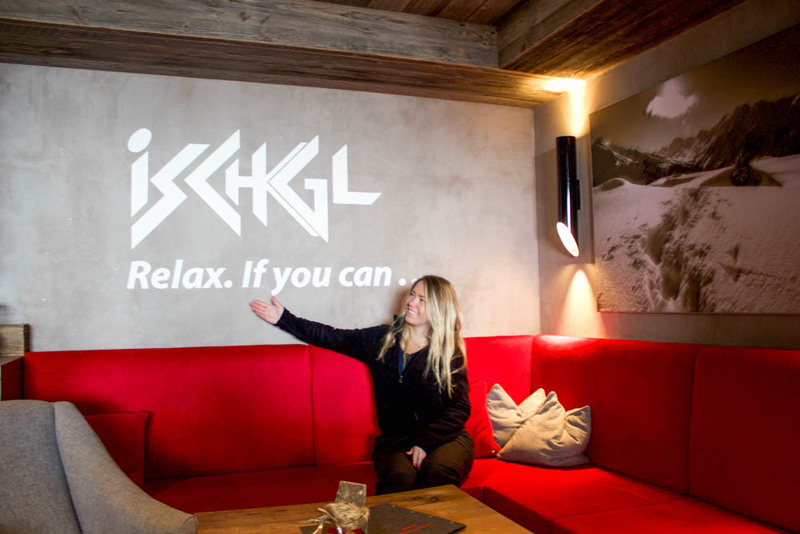 A fantastic and nice 4-star hotel located very centrally in Ischgl, just a few meters from the Silvretta cable car. 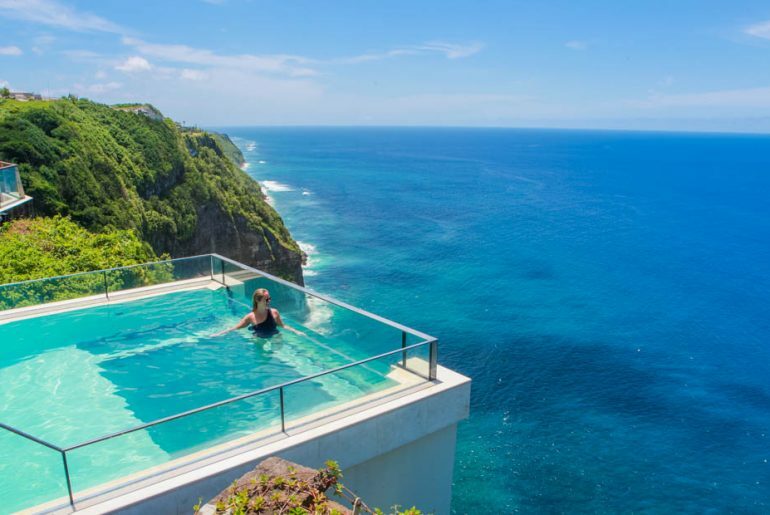 The hotel offers a large spa area with both indoor and outdoor heated pool. 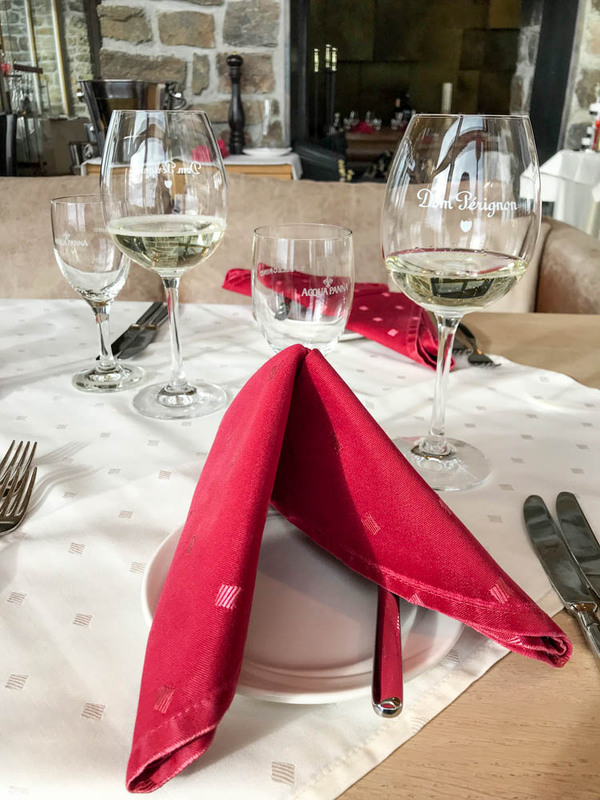 I stayed in one of the hotel Post apartments which are equipped with 2 separate bedrooms with attached bathroom and balcony, a large living room with dining area and a fully equipped kitchen. 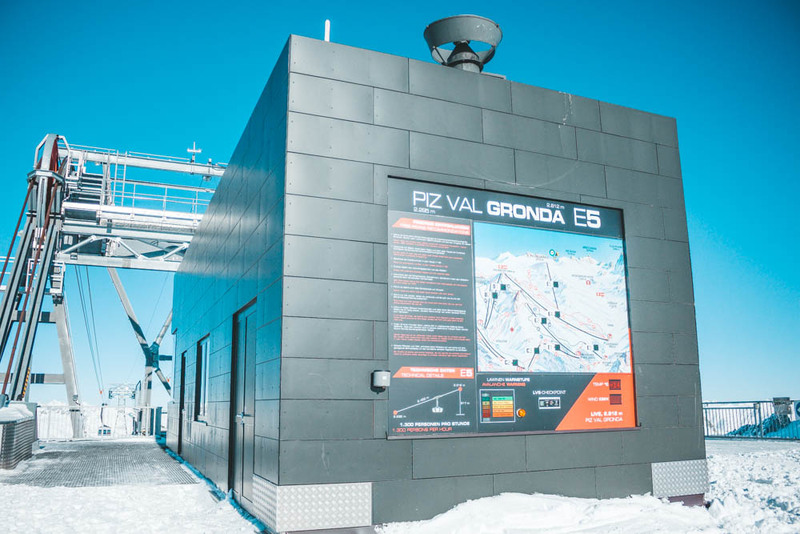 One of the bathrooms also had a sauna. 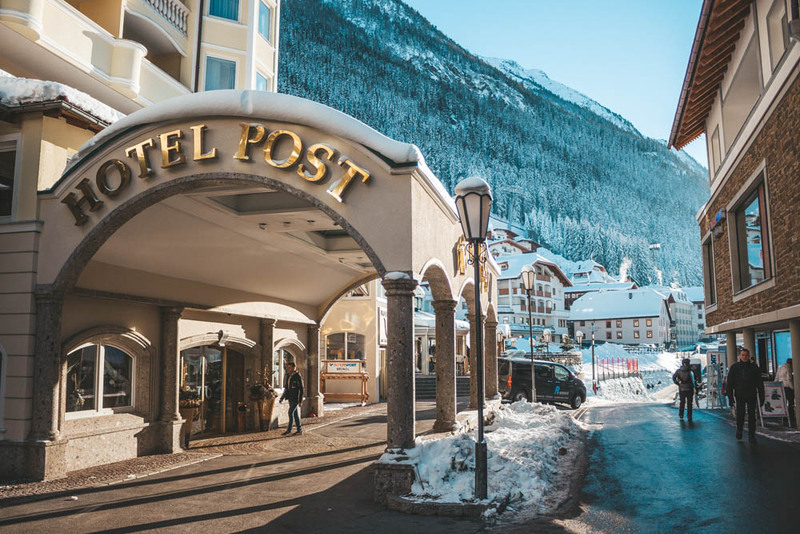 Something worth knowing with the apartments at Hotel Post is that they are located in a separate building next to the hotel itself and is a bit tricky to find. 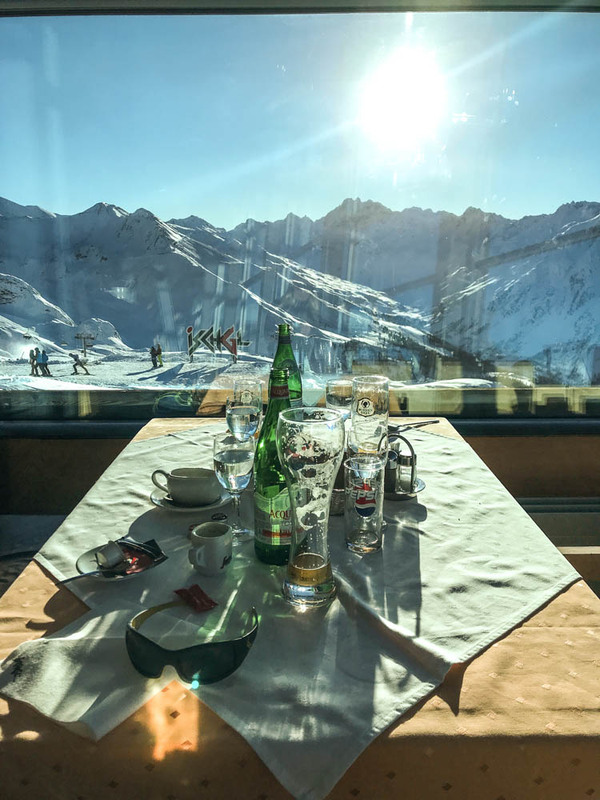 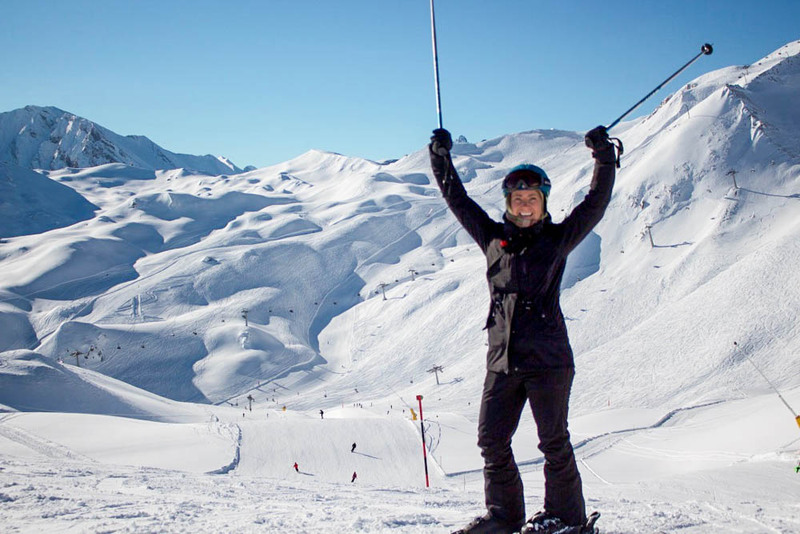 However, the hotel is in a perfect location and you can ski down directly from the ski slope and stop at the hotel entrance and then sit on their terrace and enjoy a glass of wine in the sun. 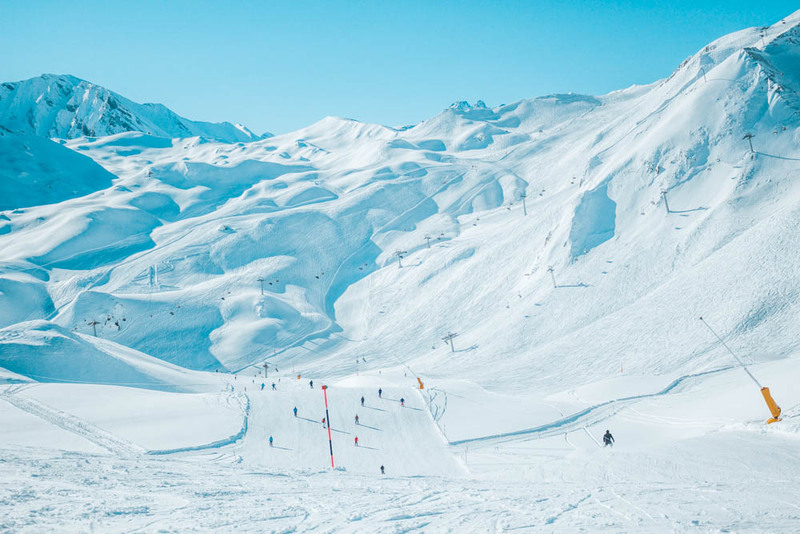 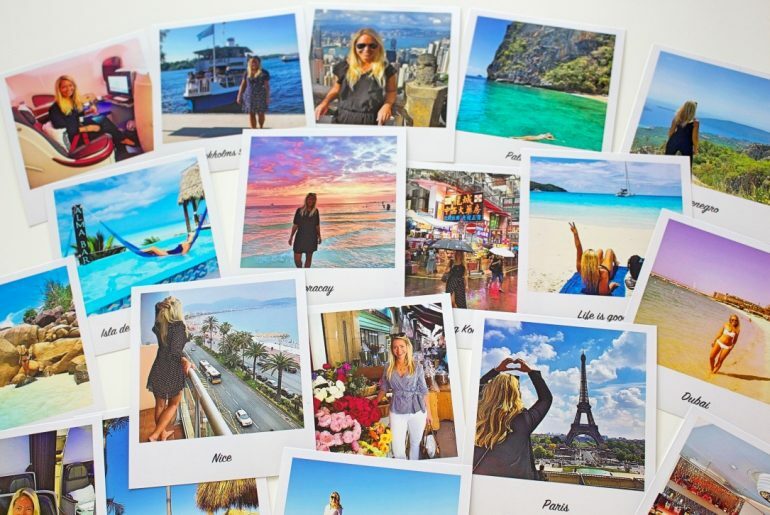 Whether you are in a group, as a couple or with your family, there is a wide range of hotels and apartments just as it should be in a ski resort. 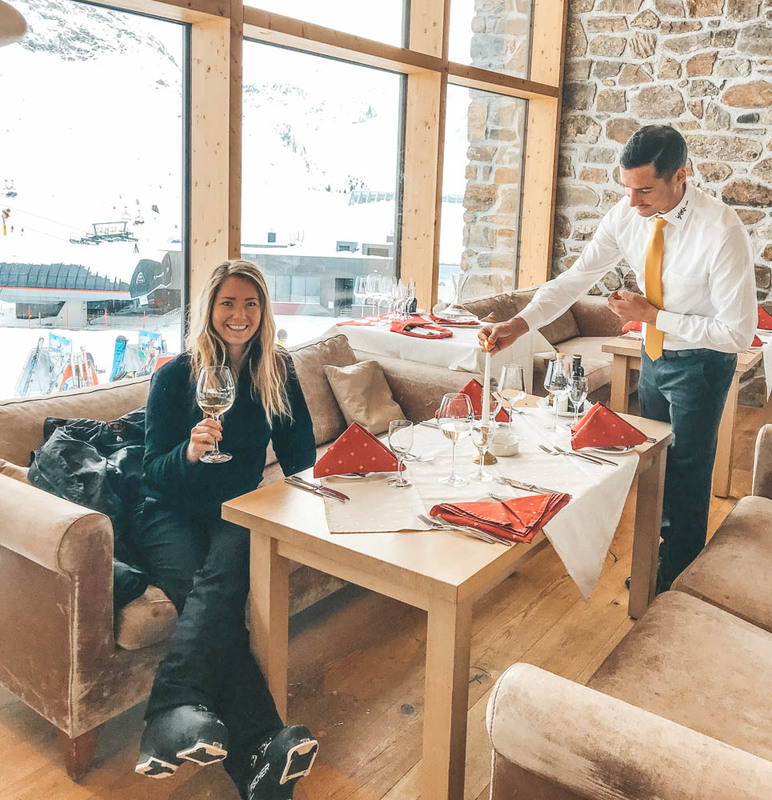 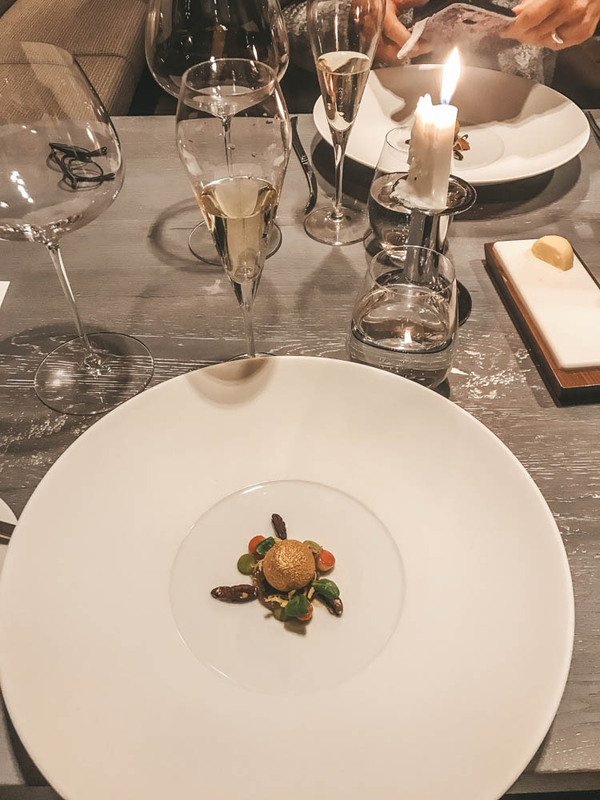 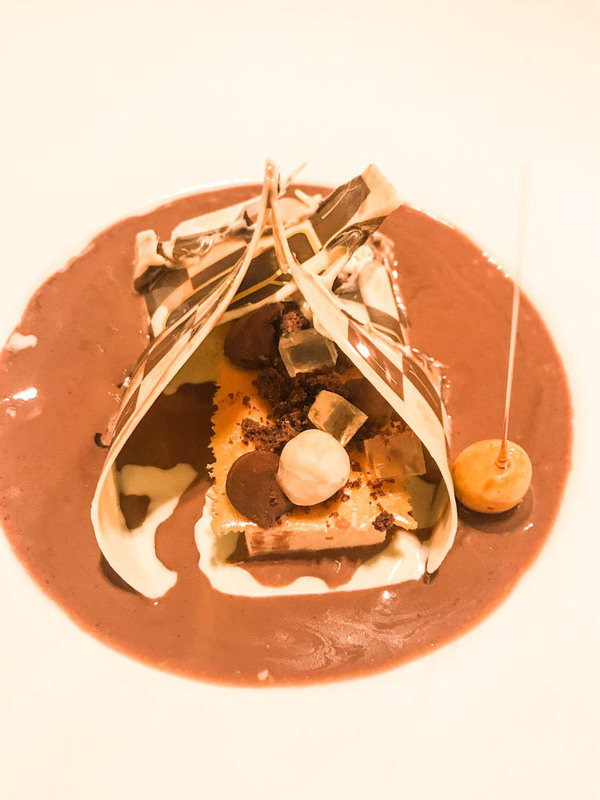 I have written a hotel review from my stay with Post hotel that you can read here but if you want to get to the homepage of Post hotel in Ischgl you will find their website by clicking on this link. 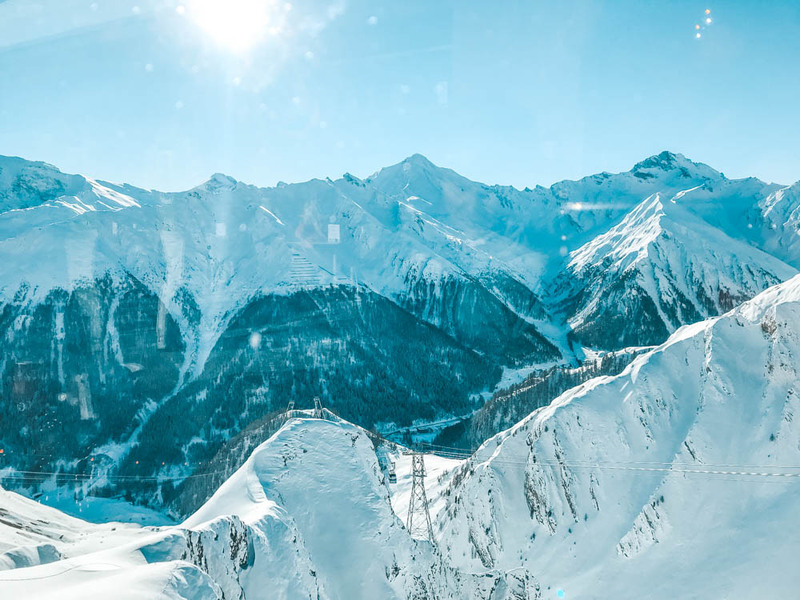 Getting to the Austrian Alps is pure magic, an amazing experience that truly impresses! 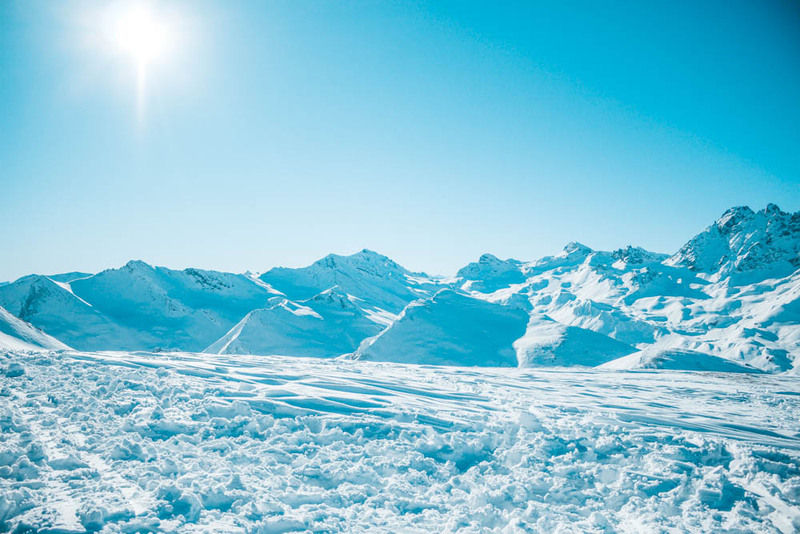 This is a world that I have never seen before, but I was thrilled at once! 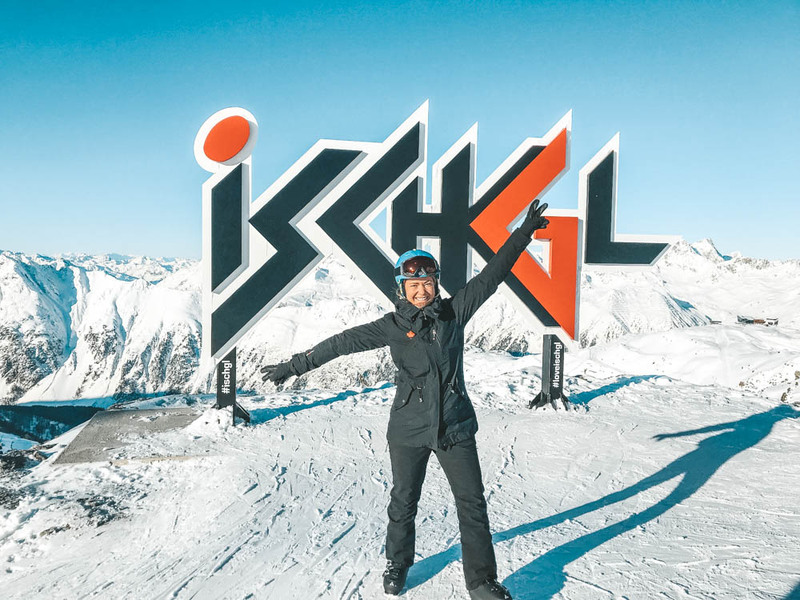 As I said, Ischgl is an exclusive ski resort in the Austrian Alps with lovely skiing and beautiful slopes, located in the heart of Tyrol. 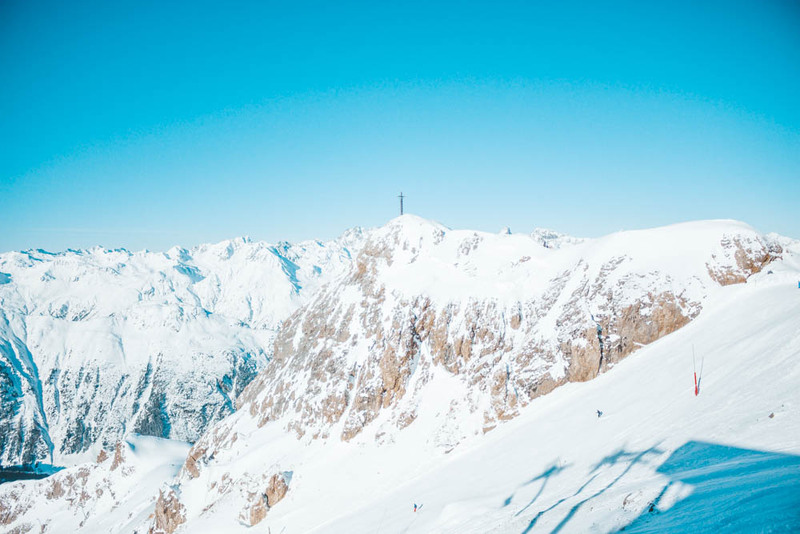 Ischgl suits you who wants really great skiing with many slopes to choose from and challenging off-piste. 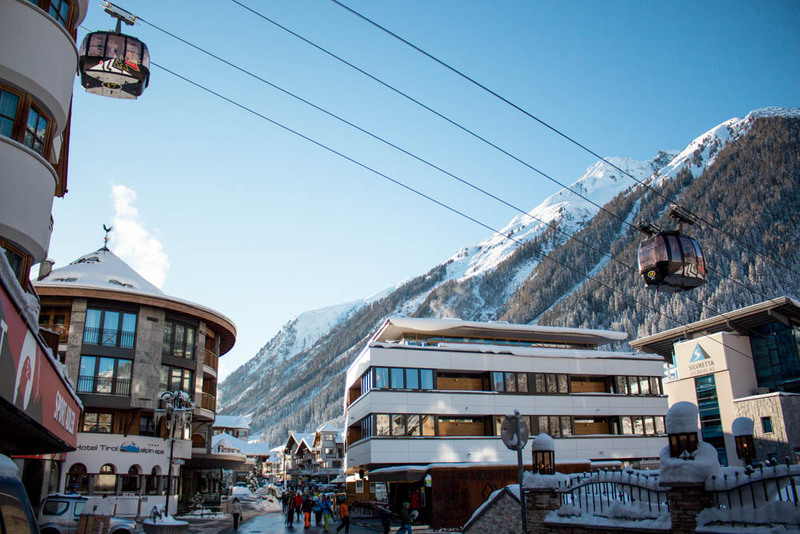 Ischgl is incredibly charming and very nice ski resort with many nice hotels and buildings. 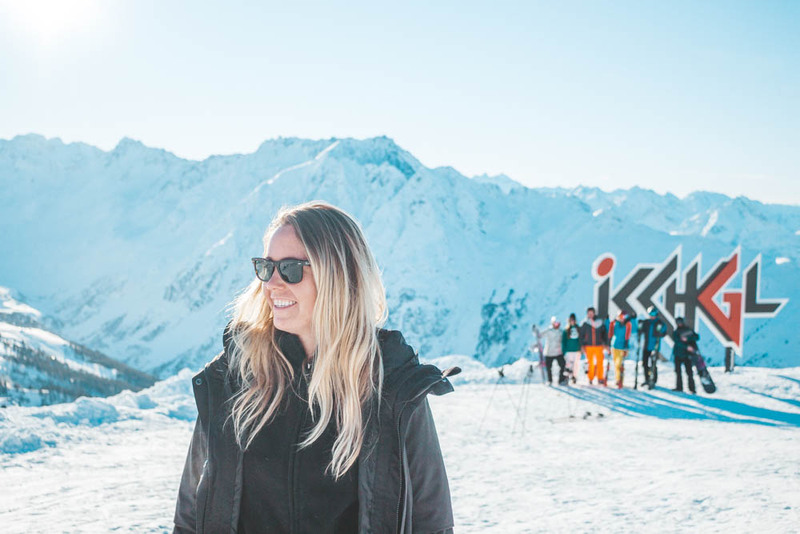 It is said that Ischgl is one of Europe’s most beautiful ski paradise and I can only agree! 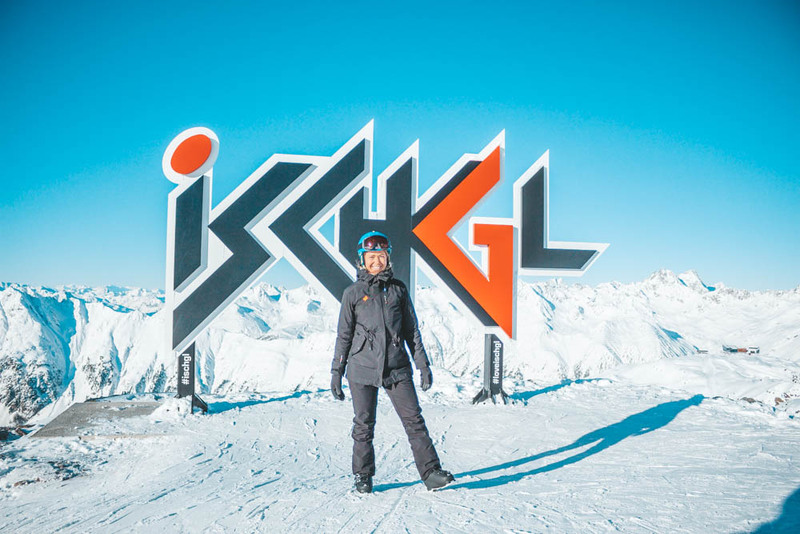 Therefore, I can really recommend going to Ischgl! 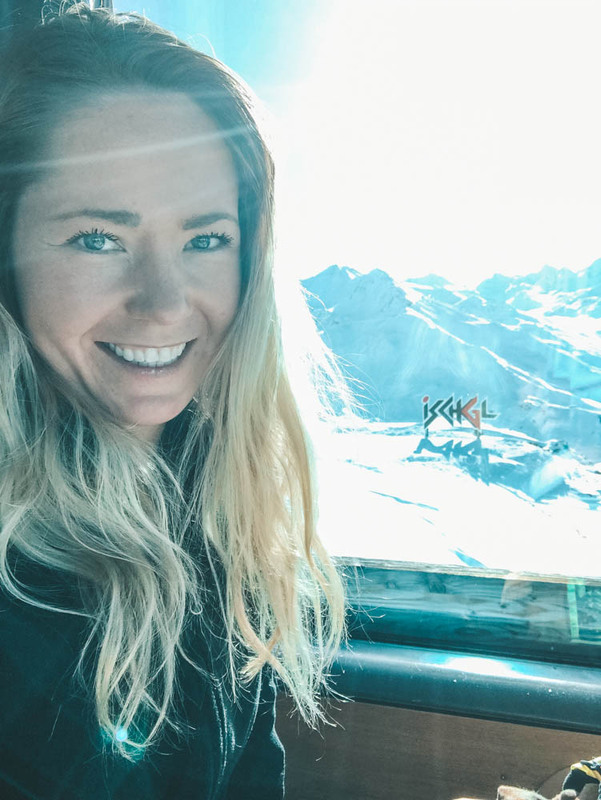 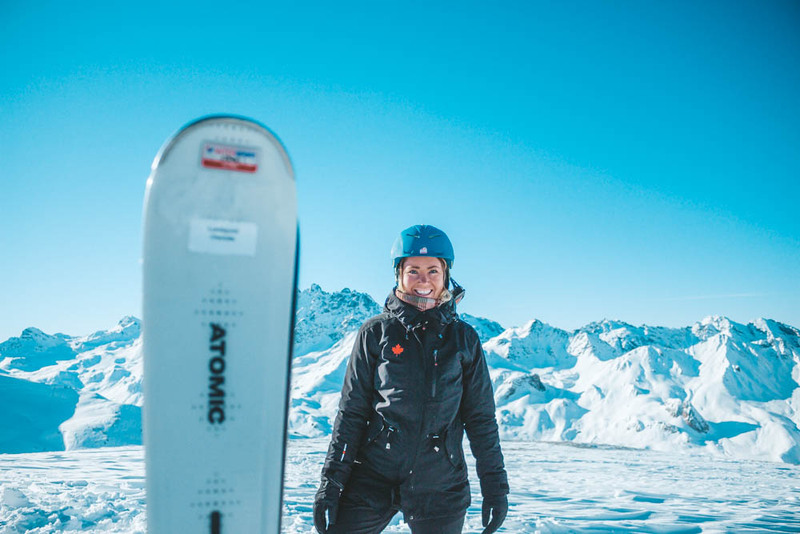 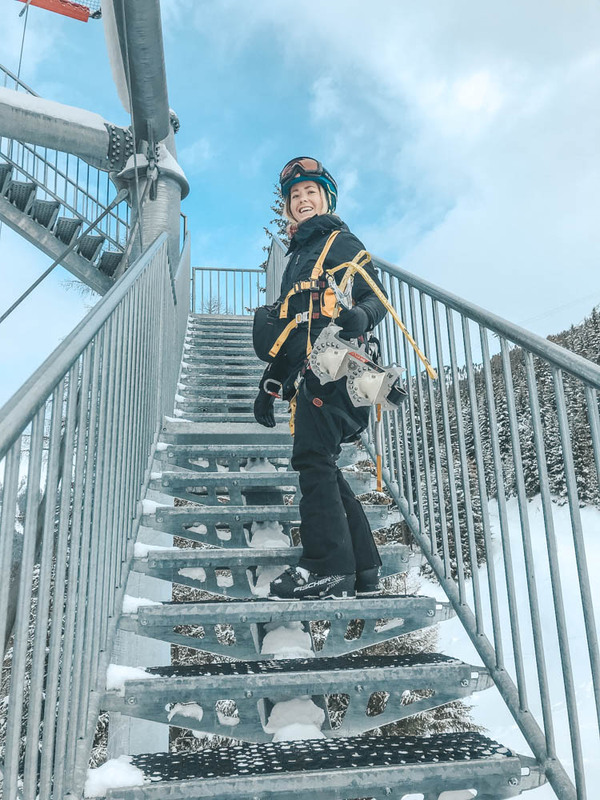 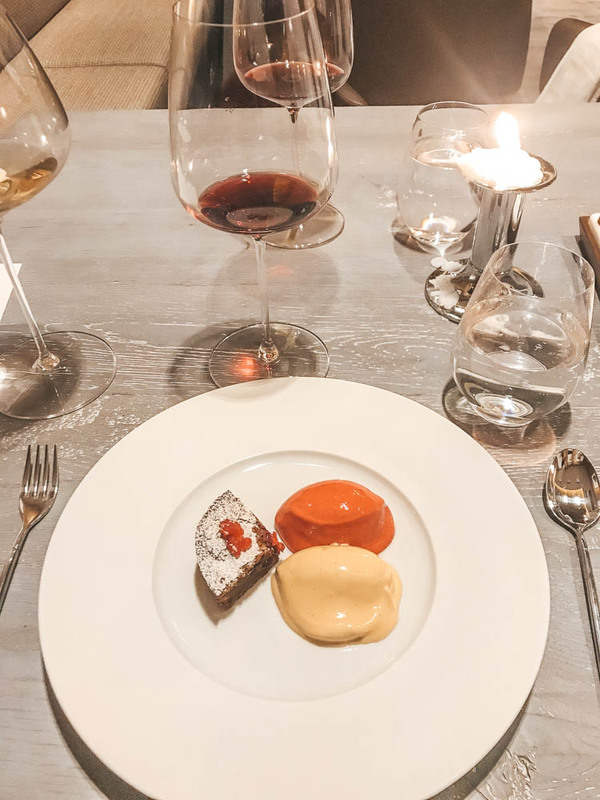 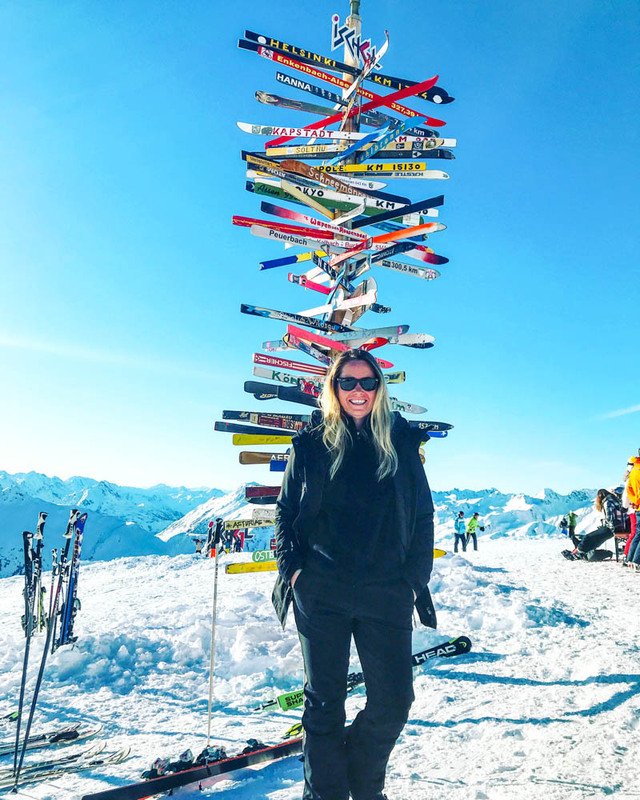 If you are curious about St Anton as a ski resort, I have written a similar post that you find by clicking on this link.